case2 from reisenthel is a versatile case with wrist loop, which is great for cosmetic or important documents while travelling. The case out of water repellent polyester fabric consists of a large main compartment with inside pocket and a front pocket. Due to the zip, everything remains in the compartments. The clutch is very extremely handy thanks to the wrist strap and immediately at hand, if required. 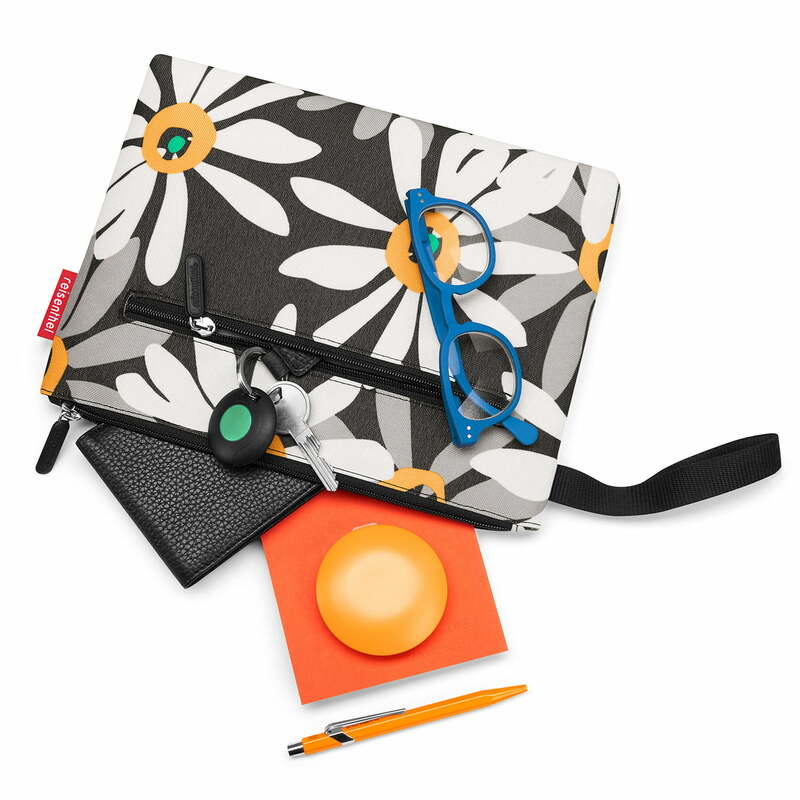 During your travels, passport and the boarding pass can safely go in the case2, but the case is also perfect as a make-up bag for a woman’s daily life. Product view of the case2 by reisenthel in dots. The case out of water repellent polyester fabric consists of a large main compartment with inside pocket and a front pocket. 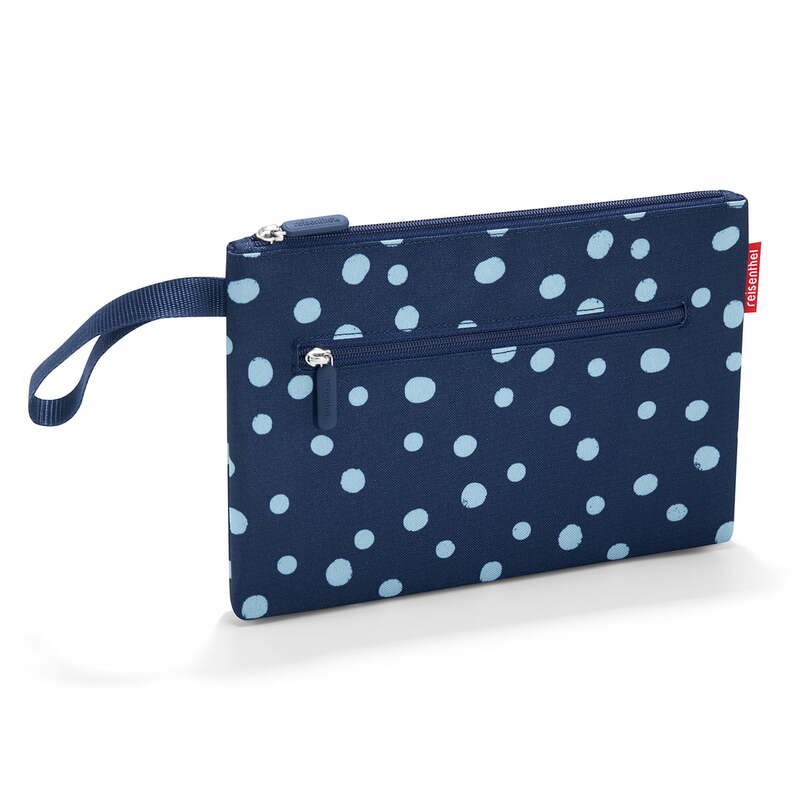 Product view of the case2 by reisenthel in spots navy. 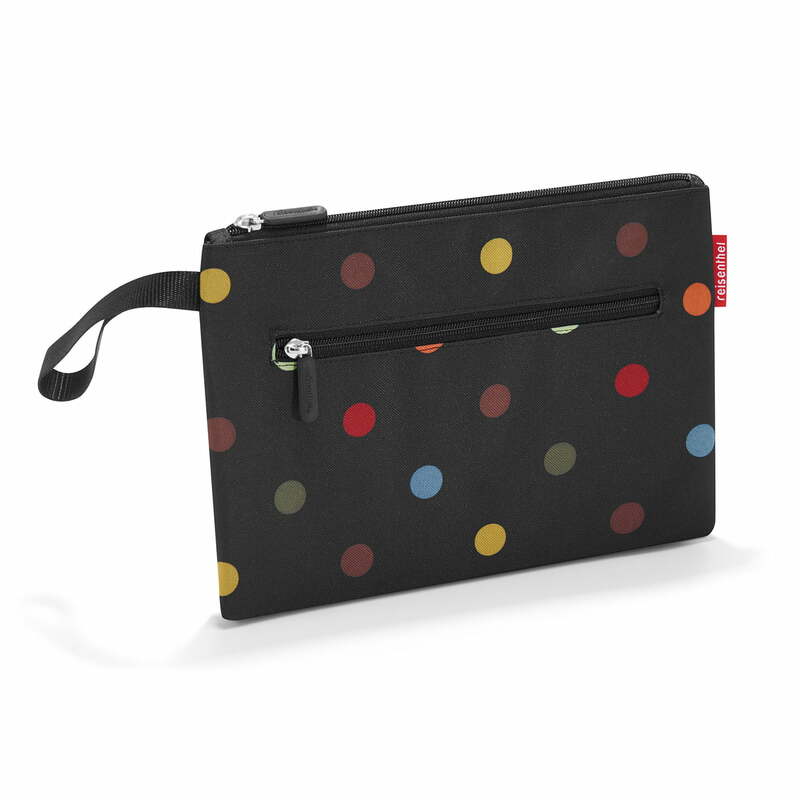 The case out of water repellent polyester fabric consists of a large main compartment with inside pocket and a front pocket. During your travels, passport and the boarding pass can safely go in the case2, but the case is also perfect as a make-up bag for a woman’s daily life.